e-Wall makes it easy to integrate movement in lessons, whilst maintaining a high academic level. 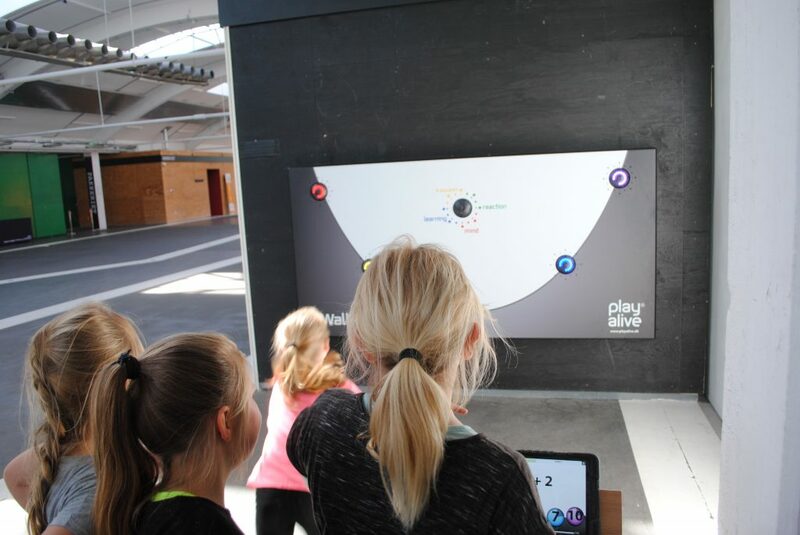 By connecting e-Wall to our app, the pupils are able to work with the curriculum while they are physically active. The students are also able to create new learning exercises and thereby work actively with the subjects. As a teacher you can use our more than 100 premade learning exercises or you can create your own. The exercises can easily be prepared in advance using our app for iPad. All learning exercises can be prepared prior to classes. Pupils and teachers navigate the app unassisted – pupils are able to easily find a specific exercise. Exercises can be stored locally, on your iPad, or in the cloud, using the shared online database. All exercises saved in the cloud can be shared with your colleagues – just as they can share their exercises with you. Pupils are able to compete against each other – either individually or as teams. Pupils are evaluated based on their reaction time and the accuracy of their answers. You can create exercises for any subject and you decide the level of complexity. e-Wall is extremely user friendly, which enables the pupils to navigate the app by themselves. This makes e-Wall ideal for group projects. Up to three teams can use the e-Wall at once. The need for movement and a good reaction time is increased as the exercise advance. 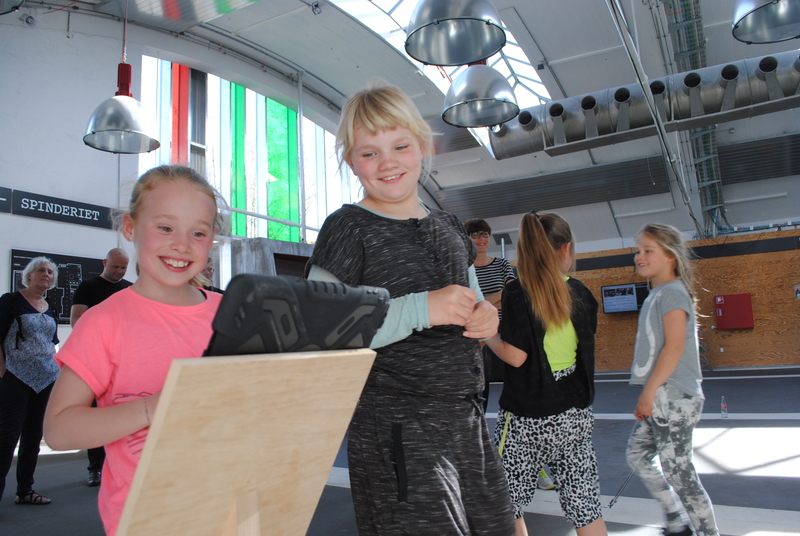 e-Wall provides active breaks for pupils, residents and other users. The user friendly and interactive menu allow users to start 5 different games without any need for iPads or other aids. All games are easy to start and both kids and adults are drawn to the simplicity of the e-Wall interface. The 5 games focus on movement, reaction time, memory, team work and music. Mind – test the players’ memory by creating an electionic version of ‘Simon Says’. Team Up – train the players’ ability to cooperate and their reaction time, by letting teams compete to achieve the best result. e-Squash – train players’ reaction time when blinking lights has to be ‘send’ to the competitor. Music – when no other games are chosen, the e-Wall buttons will work as different instruments, letting players create a wide range of music and sounds. 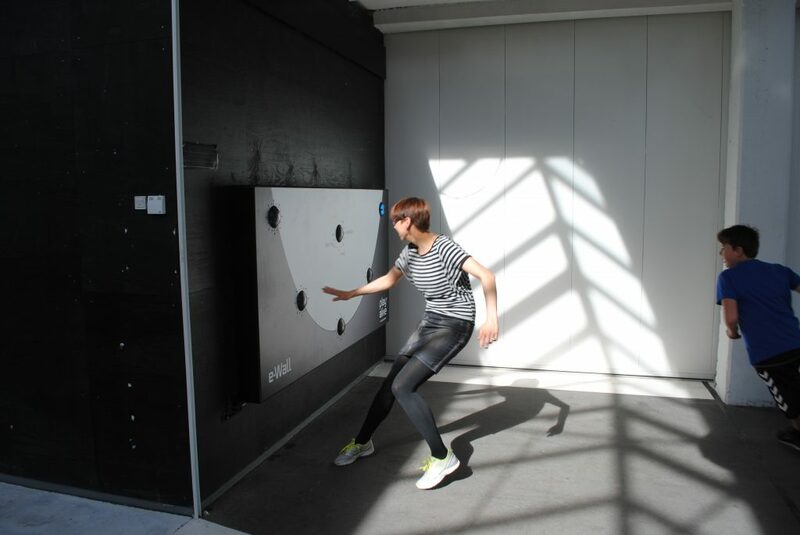 e-Wall use an adaptive technology which constantly reads the player’s level and skill set. For instance, if a player react quickly in a game focusing on reaction time, the game will make the next exercise more difficult by increasing the pace. This technology also allow for players with different age, skill set and abilities to compete against each other on equal footing. e-Wall is your support at the homework club. Ask pupils to work with specific exercises or let them choose freely from our large database. e-Walls user friendly interface allow pupils to navigate the app unassisted, both when working with preexisting exercises and creating new. Using e-Wall at the homework club is ideal for repetitive exercises, because the pupils can go through the exercises as many times as needed.